With hydraulic tyne and higher breakout springs in use, rocks are being brought to the surface of cropping paddocks. 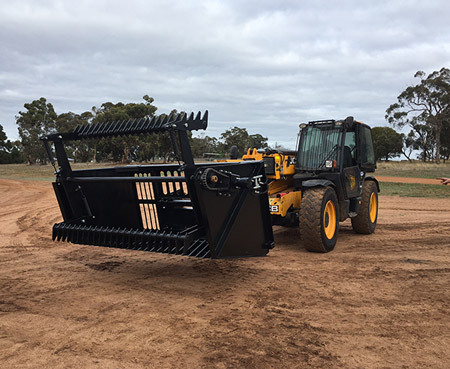 The Pick ‘EM’ Rock Bucket allows a front end loader or telehandler to do the work of paddock clean up. Bi­­­­­salloy grizzly bars allow rocks smaller than 80mm to fall through, along with dirt.